Are you looking for a sensible home upgrade? If so, we first recommend contacting the Massachusetts Clean Energy Center (MassCEC) to see if you qualify for their program. The MassCEC is an agency with the mission to grow the state’s clean energy economy while helping to meet the Commonwealth’s clean energy, climate and economic development goals. As a part of the mission, the MassCEC offers the Solar Access program for middle-income homeowners in Massachusetts, but your household income must be below the 80 percent Massachusetts state median income threshold. If your home does not fall into that threshold, Girard has an option for you. 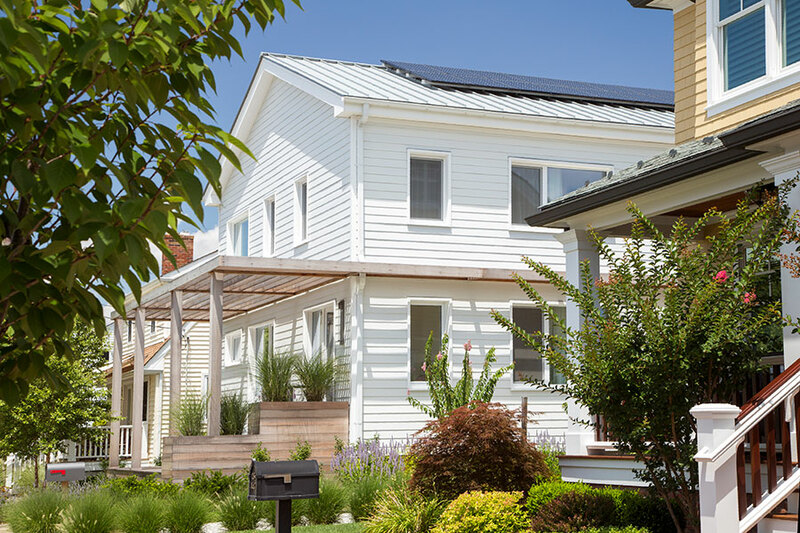 As a part of the Solar Access program, Girard installs ductless systems from Mitsubishi Electric that operate on less power, are smaller than traditional forced-air systems and pair with solar panels for even greater savings on utility costs. • They offer highly flexible solutions: Traditional heat pumps and central air conditioning systems force cooled and heated air through ducts, whereas ductless systems deliver air directly into different zones. • They save you money: One of the biggest reasons homeowners are switching to ductless cooling and heating is overall cost savings. In addition to saving money on utilities, homeowners may be eligible for tax credits or utility rebates. • They improve indoor air quality: With traditional HVAC systems, air ducts must be professionally cleaned on a regular basis. Ductless systems offer multi-stage filtration that can drastically reduce dust, bacteria, pollen and allergens in the air. • They are quick and easy to install: A traditional system can take several weeks to install and disrupts daily activities, while ductless systems are far less invasive to install and, depending on the number of units installed, can be up and running in as little as one day. • Ductless cooling reduces your carbon footprint: The small size of a ductless cooling system and its zoning capabilities allows for greater energy efficiency. Ductless cooling and heating systems follow ENERGY STAR® guidelines, leading to improved efficiency, which saves money and helps reduce your total carbon output. Through years of hard work and dedication to customer service, we have gained the recognition of Diamond Dealer by Mitsubishi® Electric. Learn more about our products and services at girardheatcool.com.